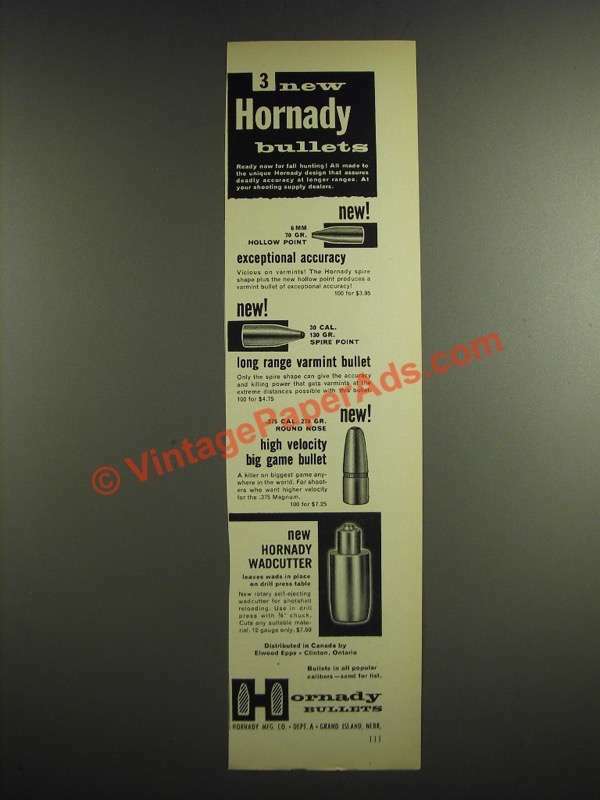 This is a 1956 ad for a Hornady Bullets: 6mm 70 Gr. Hollow Point, 30 cal. 130 Gr. Spire Point, .375 Cal. 270 Gr. Round Nose and Wadcutter! The size of the ad is approximately 3x11inches. The caption for this ad is '3 new Hornady Bullets' The ad is in good overall condition, with some light wear. This vintage ad would look great framed and displayed! Add it to your collection today!